I love the sticker that comes in every Stridebox and I have a nice collection on my daily planner (cause I am old school and just can’t digitalize my entire life). My three favorite products from the February Box: Running Gloves, Apples & Cinnamon Drink Mix by Skratch Labs, and Lip Balm by Joshua Tree. 1. 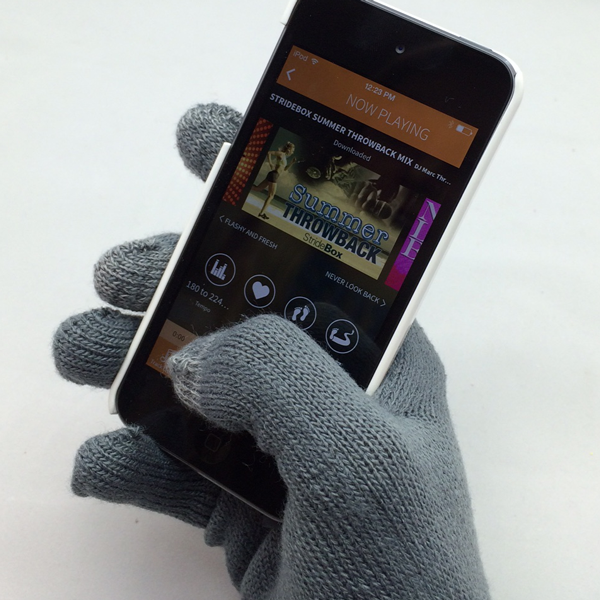 Tech-friendly Running Gloves by iGlove. These gloves came at the perfect time, three days before the Girl Scouts Run. The temperature dropped to 29ºF that morning, which is pretty chilly for Florida. Not only did I wear the gloves, but was pleasantly surprised to still be able to use my phone and capture pictures of my girls at the run! 2. 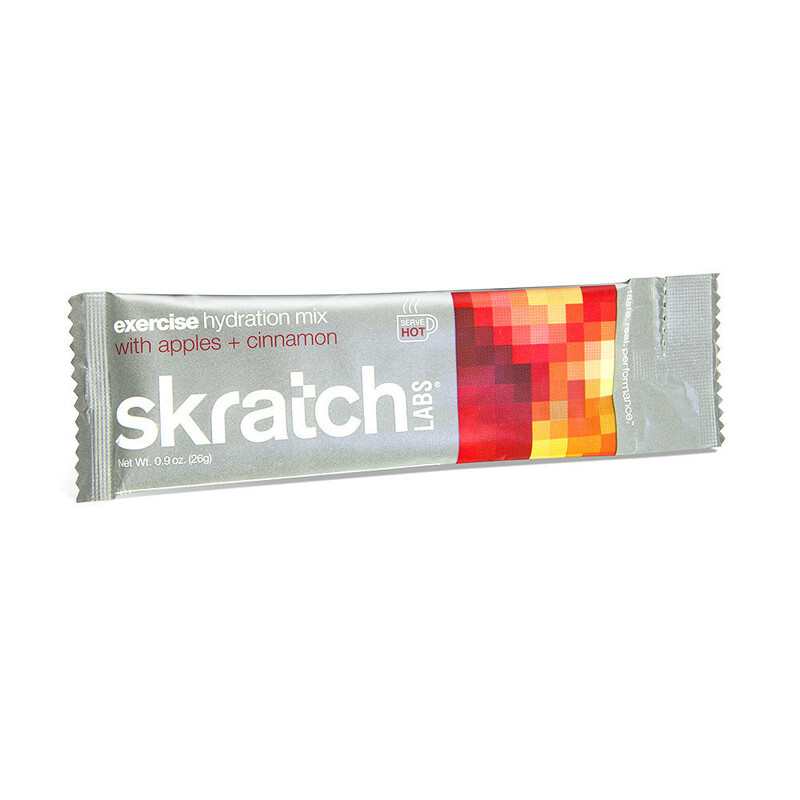 Apples & Cinnamon Hot/Cold Drink by Skratch Labs. A hot sports drink? I was more than skeptical and deliciously surprised! I was also happy to see it had less sodium than some of my other electrolyte drinks. Skratch continually impresses me with their products! “Who ever heard of a hot sports drink? Nobody, that’s who. And that’s exactly why we made one. It’s pretty simple: Whether it’s the hottest day of the year or one of the coldest, if you’re exerting yourself, you’re sweating and losing both water and electrolytes that need to be replaced. And even though our regular Exercise Mix flavors work perfectly fine in any conditions, we thought it would be nice to have something yummy AND warm to drink for those days when we’re working hard in the cold. 3. 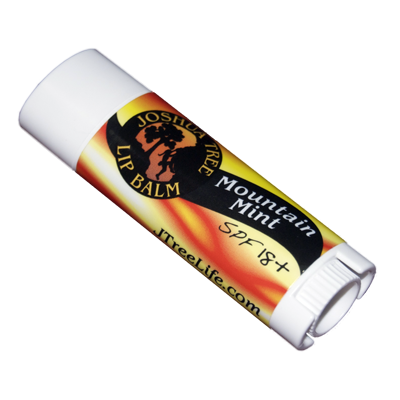 Organic Lip Balm by Joshua Tree. When I first opened my February box, I didn’t give this lip balm any credit and it was the last item in my box waiting to be opened before my review. The packaging wasn’t too catchy and I am a loyal user of a brand at my local drugstore. Some lip balms cake up in the corners of my mouth on long runs and this one did not. My two little girls also grabbed the stick and applied it liberally and love it; they have sensitive skin and eczema. I was curious at this point and decided to learn more about the company. Joshua Tree was “originally established in a small town outside of Joshua Tree National Park, JTree’s healing salve immediately gained a loyal following among the rock climbing community. As the word spread to cyclists, runners, hikers, skiers and gymnasts, JTree added additional items to keep their customers outside, on the go and doing what they love.” They also have cycling and gymnasts salve, which I plan on ordering for me and my girls. This bar definitely did not taste like cookie dough. I consumed half the bar and it was very sticky, including sticking to my teeth. My teeth have suffered the effects of sugar and endurance training. Translation = cavities. Having the bar stick to my teeth made me worry about the long term affect of the bar sticking to my teeth during long rides or runs. Would you consider trying out Stridebox? 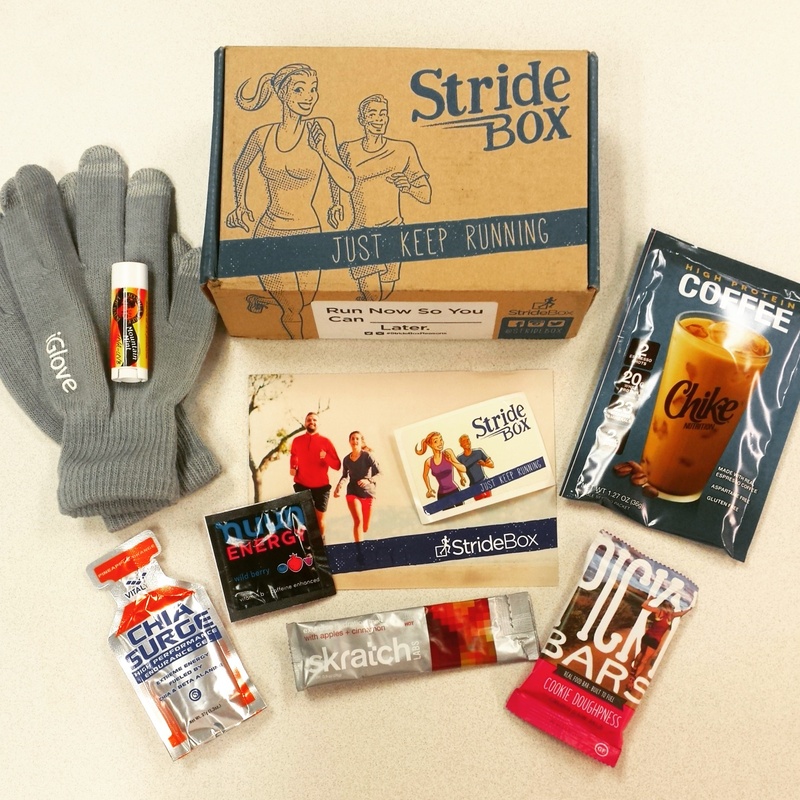 This was my first StrideBox and I totally loved the Chike protein coffee drink. I will definitely be ordering. Thank you StrideBox. What a fun box of goodies! I think this is the perfect kind of monthly box for me!